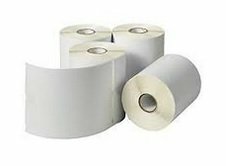 Datamax 450970-EA Paper Label for E-Class/E-Class Mark III Printers, Thermal Transfer, Perforated, 4" Width x 6" Length, 1" Core, 4" OD, 250 Labels per Roll. If you have any questions about this product by Datamax, contact us by completing and submitting the form below. If you are looking for a specif part number, please include it with your message.